I started doing more Mixxx development on Windows this week and I've been trying to fix lots of little bugs. I'm pretty embarrassed at how badly broken drag-and-drop on Windows was in 1.8.0 Beta 2 - Sorry about that guys, we really didn't do much testing of the library stuff on Windows before the release. It's fixed in our 1.8 code repository, but I have no idea when we're going to make our next release. I think that bug pretty crippling though, so if enough people complain, I'll try to talk our Windows packager into building a new version for you guys. On Saturday, we woke up to a nice surprise from our downloads.mixxx.org hosting provider. 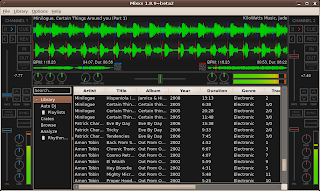 They cut off downloads to Mixxx 1.7.2 for Win32 because we had too many requests to it! We had a couple thousand downloads in one day, and apparently they're unable to provide us with the 5 TB of monthly bandwidth we pay them for because of CPU usage. After scratching our heads for a while, we ended up redirecting users to a temporary download page with links to a mirror site and a torrent. Big thanks to Mark Glines for helping us out temporarily until we find a permanent hosting solution! 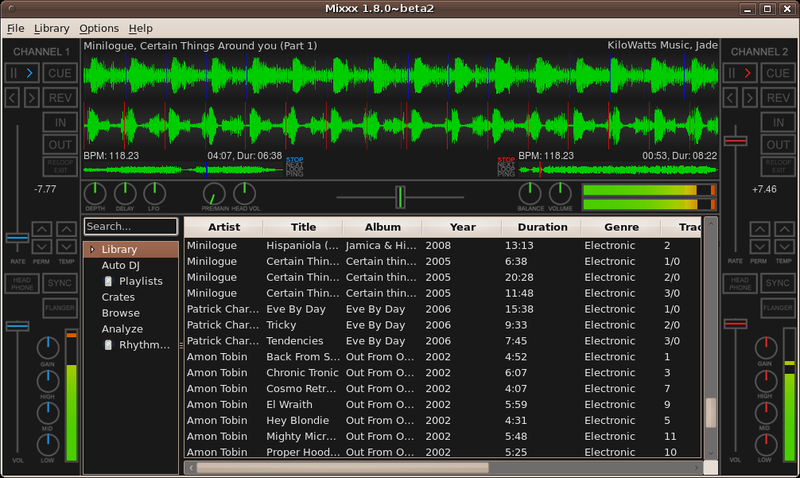 Mixxx 1.8.0 Beta 2 Released! The Mixxx team is pleased to announce the second beta of Mixxx 1.8.0! This release brings a large number of bug fixes, performance improvements, and even some small new features. Fullscreen key changed to F11 to conform to de-facto standard. Tons of other bug fixes! Over the next month or so, we'll be wrapping up development of 1.8.0. We've still got many bugs to fix (and could use your help), but we think this latest beta release is a big improvement over the previous one. Give it a shot, and please report any bugs you find! Enjoy, and stay tuned for more news as we finally approach Mixxx 1.8.0.